Just three races into the 2010 season, the rumor mill is running full-speed ahead with speculation about Kevin Harvick, Kasey Kahne and their respective futures. Media members assail both drivers at every turn, grilling them about the final year of their respective contracts with Richard Childress Racing (Harvick) and Richard Petty Motorsports (Kahne), hoping to unearth a nugget of dissatisfaction and spawn a breathless “he’s leaving” story that will scoop the competition by months. Talk about putting the cart ahead of the horse. 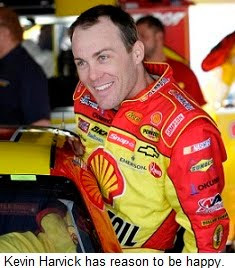 Harvick has stiff-armed the topic at every turn, insisting repeatedly that 2011 is not on his radar screen yet, and that the performance of his Shell-Pennzoil Chevrolet team over the course of this season will help determine his plans for the next. Kahne has been a bit more talkative, downplaying his poor finishes in the opening races of the season. "The car has been decent,” insisted Kahne in Las Vegas. “At Daytona and (Fontana), I think we've been Top-10 cars. It's disappointing, but those things happen once in a while. I don't think our season is over. We're definitely in a hole (and) that's not very good, but we still have plenty of racing to go." He was honest in assessing RPM’s offseason progress, saying, “I wouldn't say my car is any different than it was last year. I think the Ford engine runs a little better than what we had last year, and that's nice. But as far as… going and leading laps, or running first, second or third, we're not there. I expected the cars to be better. I think as the season goes, hopefully, (that) will be the case. But it’s not as of right now." So, for the record, here’s the lay of the land. Harvick leads the NASCAR Sprint Cup championship standings, after recording a seventh-place finish in the Daytona 500 and consecutive runner-up showings in Fontana and Vegas. Kahne is mired a disappointing 23rd in championship points, but could just as easily be sitting on a trio of Top-10 finishes. A crash at Daytona ruined what appeared to be a Top-10 day, and Kahne’s own driving mistake triggered a spin that spoiled another solid outing at Auto Club Speedway. The team righted the ship with a trouble-free ninth-place finish in Las Vegas Sunday. Harvick’s average 2010 finish of 3.67 is probably not going to make him jump ship at the end of the season. And it’s absolutely insufficient grounds to file for divorce just three races into the season. Kahne’s start is not what he and Richard Petty Motorsports had hoped for, but is it reason to bolt the team? Not likely. At least not yet. There’s a lot of racing to be done before the final checkered flag of the season flies at Homestead-Miami Speedway in November, and a lot can change before then. You and I understand that fact. Kevin Harvick and Kasey Kahne understand it. But don’t try and tell that to some members of the NASCAR media, who continue to pound away at a story that -– for now –- seems not to exist. 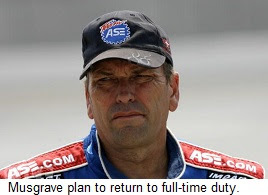 Musgrave To Return "Full-Time, Multi-Year And Fully Funded"
There is good news and bad news this week for fans of former NASCAR Camping World Truck Series champion Ted Musgrave. Musgrave told Sirius NASCAR Radio's Sirius Speedway with Dave Moody today that he will not race in the Truck series’ second event of 2010 at Atlanta Motor Speedway next week, and could also miss the next two races at Martinsville and Nashville. The new deal will likely put Musgrave in a Billy Ballew Motorsports Toyota Tundra for the balance of the 2010 season and beyond, though those negotiations also have not been finalized. Musgrave finished 31st in the season-opening NextEra Energy Resources 250 at Daytona in a Ballew-owned Toyota. Stock car racing has always been a “what have you done for me lately” kind of sport. When you work in the NASCAR garage, you’re only as good as your last finish – or even your last pit stop -- and job security is something only a fortunate few enjoy. When you work for Jack Roush, the lifeline is stretched even thinner. The Roush-Fenway Racing owner has never been shy about making midseason personnel moves, and when something goes awry on any of his four NASCAR Sprint Cup teams, “The Cat In The Hat” is ready, willing and able to move people around, transfer them out, or even hand them a pink slip. Latest case in point? The strange saga of Drew Blickensderfer. One year ago today, Blickensderfer was the hottest crewchief in all of NASCAR, after overseeing back-to-back victories by Matt Kenseth in the Daytona 500 and Auto Club 500. Today, he’s the former crewchief of Kenseth’s #17 Crown Royal Ford, after being shuffled off to Roush-Fenway’s Research and Development department -– the auto racing equivalent of the Russian Front -- in favor of veteran Todd Parrott. The timing of the move could not have been more strange. Why would Roush-Fenway retain Blickensderfer through a long, cold offseason, only to replace him just one race into the new campaign? What issues could possibility have surfaced at Daytona that were not known to the team long beforehand? The blame, said Kenseth, was all his. The 2003 Sprint Cup champion called the timing of last week’s change “100-percent my fault,” admitting that Roush approached him at the end of last season to suggest replacing Blickensderfer. Kenseth argued against the move, feeling his pit chief could use the offseason to improve. 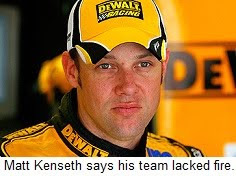 However, Kenseth said he realized during Speedweeks 2010 at Daytona that his team was not properly motivated to win races and contend for another championship. Asked what needed to be changed, he replied, “the whole dynamic of the team. We needed a spark,” adding that he believes Parrott is the man to provide that spark. Parrott -– the son of legendary crewchief Buddy Parrott -- is outgoing, opinionated and emotional; words seldom used to describe his new driver. Some observers immediately questioned whether two such divergent personalities would be able to mesh, but Kenseth said he believes their differences will make them strong. Since he is not a natural leader himself, Kenseth said he needs an emotional, cheerleading crewchief to motivate the #17 team. Roush will apparently play things a bit more cautiously this time around. The early returns were positive, with Kenseth authoring a seventh place Fontana finish after qualifying in the 20th position. That’s not as good as a year ago, but it’s not bad. And it’s almost certainly good enough to earn Parrott sole command of the ship this weekend at Las Vegas Motor Speedway. Parrott’s credentials as a Sprint Cup Series crewchief are strong. He won the 1999 championship with Dale Jarrett, the highlight of a seven-year run that saw the pair combine to win 26 races between 1995 and 2002. Recently, however, the wins have been tough to come by. He managed just two wins with Elliott Sadler, one in a reunion tour with Jarrett, and has gone winless in the last couple of years with Bobby Labonte, David Gilliland and Travis Kvapil. 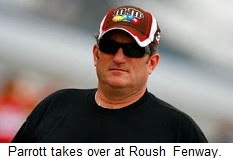 He lasted just eight races with Labonte last season before being shuffled from Yates Racing to Roush-Fenway’s restrictor plate program. Parrott knows what happens to NASCAR crewchiefs when they don’t win, and seems determined to do whatever it takes to get Kenseth back to Victory Lane and the 2010 Chase For The Sprint Cup. “I’m going to go out a winner,” he said. “I don’t want to be remembered going through the things that happened to me last year. I had a great year in 2008 with Travis, then last year I only made it five or six races and they took me off. That was very disheartening, but I understood. I kept working and kept digging. That’s the way I’ve been taught. Best of luck, Todd. And please, don’t take too long getting it done. 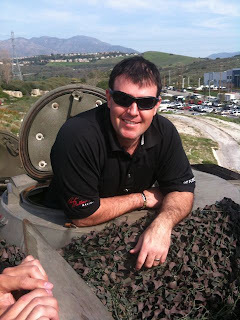 Sirius Speedway regular -- OK, make that semi-regular -- Brendan Gaughan got to drive a tank at the Oakley factory in California today. We want HIS life! Sources tell Sirius Speedway today that Drew Blickensderfer is out as crewchief for Matt Kenseth’s #17 Crown Royal Ford, and will be replaced by veteran Todd Parrott, beginning this weekend at Auto Club Speedway. 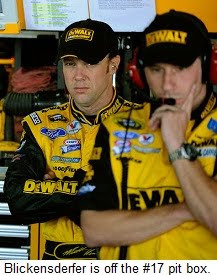 Blickensderfer has served as Kenseth’s crewchief since the beginning of last 2009 season, and has been transferred to a new position in Roush Fenway’s research and development department. 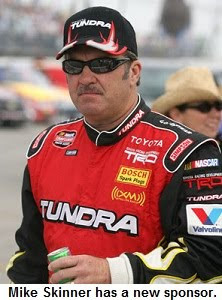 Parrott won the NASCAR Sprint Cup championship with Dale Jarrett in 1999 and is the third winningest active crewchief in the NASCAR Sprint Cup Series, with 29 career wins. Just when you begin to believe there’s no place for the little guys in NASCAR anymore, along come Max Papis, Joe Nemechek and Michael McDowell. Against long (some would argue insurmountable) odds, Papis, Nemechek and McDowell fought their way onto the starting grid for last weekend’s 52nd Daytona 500, outrunning teams with unlimited resources, top-notch personnel and decades of experience. It was the NASCAR equivalent of the lowly Chicago Cubs sweeping a World Series title from the New York Yankees in four games, and it set a “feel good” tone that carried through to the end of SpeedWeek 2010. Nemechek, a two-time Daytona winner in NASCAR Nationwide Series competition, turned heads almost immediately in time trial qualifying, pushing his unsponsored #87 Toyota to the 16th-fastest qualifying time – third among so-called “go or go home” drivers -- to earn a guaranteed starting spot in Sunday’s Daytona 500. The performance provided a watershed financial moment for the veteran driver, who guaranteed his self-owned team a minimum last-place Daytona 500 payday of nearly $250,000. Papis raced his way into NASCAR’s greatest race with a 15th-place finish in the first Gatorade Duel at Daytona qualifier. He started 20th and made only modest progress in the early going, until veteran crewchief Robert “Bootie” Barker left Papis on the track while many others pitted for tires and fuel on lap 54. “Mad Max” did the rest, keeping himself in qualifying contention until the final lap, then making a testosterone-rich move in the fourth turn that catapulted his GEICO Toyota past three cars and into The Great American Race. As he climbed from his machine after the race, “Mad Max” had understandably become “Glad Max,” and the tears flowed freely as he accepted congratulations from family, friends, team members and fellow drivers. “Did you see that? Mark Martin just came to me and congratulated me,” said a beaming Papis. “He punched me in the arm and said I did a great job. I think I hugged him! “I’ve won two Rolex 24-Hour races here, so this place means a lot to me,” he said. “Daytona means everything to me. Last year, I never would've had the opportunity to make this dream come true." One spot ahead of Papis at the finish was Michael McDowell, who earned his inaugural Daytona 500 berth after starting 26th in his #55 Prism Motorsports Toyota. Team owners Phil Parsons and Randy Humphrey spent much of last season as start-and-park artists in the NASCAR Nationwide Series, but the same lap-54 caution flag that benefitted Papis gave McDowell the outside chance he was looking for. "When that last caution came out, I knew we had a shot at it," he said. "Our car was really good on the short runs, and we got the pushes we needed. I picked the right line at the right time." The road to the 2010 Daytona 500 has been a long one for all three drivers. 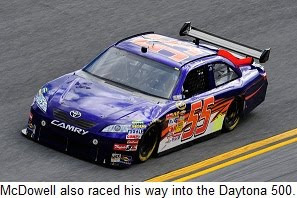 Until last week, McDowell was best known for his horrifying qualifying crash in April of 2008 at Texas Motor Speedway, while driving for Michael Watrip Racing. Since then, his NASCAR career has been a hodgepodge of rides with various teams in NASCAR’s three national series’, none offering much in the way of job security or opportunity to shine. Papis’ seven-year journey has carried him from CART -- where he recorded three wins -- to Indy Cars, Formula One, sports cars – highlighted by the 2004 Grand Am Rolex Series championship -- and eventually NASCAR. His skill and bravado have been readily apparent at every stop along the way, but unfortunately, the outgoing Italian has rarely been able to find a team with funding to match his talent. 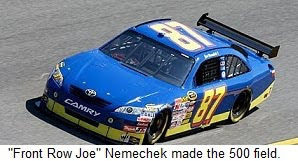 Nemechek once ranked as one of NASCAR’s best, but it’s been a long time since “Front Row Joe” ran up front. These days, he is forced to field his own entries in both the Sprint Cup and Nationwide ranks, racing when he can and pulling a “start and park” when he can’t. Unfortunately, none of the three drivers were able to parlay their qualifying success into strong runs on race day. McDowell finished 33rd after his car spit a driveshaft with just a handful of laps remaining. Papis finished 40th in the Daytona 500 after catching a piece of the day’s first incident on lap seven, then suffering engine failure with just 89 of 200 laps complete. Nemechek finished 43rd after getting tagged by the Dodge of Sam Hornish, Jr. – who was many laps down at the time – and crashing in the fourth turn on lap 64. In the end, however, their final finishing positions didn’t seem to matter. No matter where they finished Sunday, “Mad Max,” Mike and “Front Row Joe” reassured us once again that in an era of multi-million dollar, multi-car mega-teams, little guys still stand a chance. It’s already been a busy week at The World Center of Racing, as teams scramble to prepare for their portion of the annual motorized feeding frenzy known as SpeedWeek. And the best is yet to come. Mark Martin and Dale Earnhardt, Jr., swept front-row qualifying for Hendrick Motorsports, with Martin claiming the 52nd Daytona 500 pole with a fast lap of 47.074 seconds at 191.188 mph. That was the fastest pole-winning speed for the 500 since Jeff Gordon in 1999, and just enough to edge Earnhardt (190.913 mph), who will start on the outside of Row One Sunday. Team owner Rick Hendrick said the effort was a direct result of the emphasis placed on getting the #5 and #88 teams on the same page of the playbook this season in terms of car preparations and setup, after a 2009 campaign that saw Martin challenge for the Sprint Cup title while Earnhardt languished in 25th place in championship points. "The challenge was to run one team with two cars, and to have those two cars run almost identical times," said Hendrick. "I know this is just one race, but no one outside our company knows the effort (crewchiefs) Alan Gustafson and Lance McGrew put into this team and these two cars. I'm really proud of them." Martin agreed, saying, “This is such a great accomplishment for the 5 and 88 teams. That was not an accomplishment of mine. It’s one (for) all our guys on this team. Having Dale Jr. on the outside of the front row means that we are doing stuff right." Bill Elliott turned the fourth-fastest lap to lock his Wood Brothers Racing Ford into the Daytona 500 field, while Scott Speed (13th) and Joe Nemechek (16th) also leapt from the “Go Or Go Home” list into the 500 with fast time trial laps. Bobby Labonte is also guaranteed a spot in the field as the most recent former Sprint Cup champion. John Carter Racing is not taking part in this weekend’s Daytona 500, after being unable to secure sponsorship for former Sprint Cup Series champion Terry Labonte. The team had hoped to run both the 500 and the non-points Budweiser Shootout. Team owner John Carter said the team still plans to race this season, but is dependent on finding sponsorship. "Right now we are actively looking for a sponsor, and it's really going to dictate how often we compete this season,” said a spokesman for the team. “We already have some things in place moving forward, but the timing for the Daytona 500 just wasn't going to happen. The #08 will be on the track this season. Its just a matter of when." Michael McDowell will run the full Sprint Cup schedule in the Prism Motorsports #55 car, as a teammate to Dave Blaney’s #66 machine. Prism Motorsports attempted all 36 races last year with drivers Terry Labonte, Blaney and McDowell, often competing as a start-and-park team. There is no word on whether that will continue in 2010..
Nationwide News: Miccosukee Resort and Gaming has informed Phoenix Racing owner James Finch that they will no longer sponsor his NASCAR Sprint Cup and Nationwide Series teams. Finch had a contract in hand for the complete Nationwide Series and 18 Sprint Cup races, but a recent change in tribal leadership resulted in a new, more conservative fiscal policy, leaving Finch without a sponsor. He said his only recourse is an appeal to the Tribal Council, but in his words, “that’s not a case I’m going to win.” The decision is also expected to affect the new Kyle Busch Motorsports Camping World Truck Series team, whose #18 Toyota (driven by Busch and Brian Ickler) were to have been sponsored by the tribe. Brad Parrott will serve as crewchief for Brendan Gaughan’s #62 Rusty Wallace Racing NASCAR Nationwide Series Toyota this season. Parrott has sat atop the pitbox for drivers Carl Edwards, Greg Biffle, Jeff Burton, Dale Jarrett and Juan Pablo Montoya in recent seasons, and once worked as a tire specialist for team owner Rusty Wallace during his days at Penske Racing in the early 1990’s. Parrott’s father, legendary former crewchief Buddy Parrott, will serve as Gaughan’s spotter in select 2010 events. Kyle Busch says his plan to run the full NASCAR Nationwide Series this season has been vetoed by Joe Gibbs Racing President J.D. Gibbs. Last year’s Nationwide champion said at the start of the year that he hoped to talk Gibbs into letting him chase a second title, but he told the media last week, “"I think it's pretty much decided now that we're running the 25-26 races." Busch will also the full Sprint Cup Series schedule and approximately 15 Camping World Truck races. Chrissy Wallace will make her NASCAR Nationwide Series debut at Daytona Saturday, running the Camping World 300 in Rick Ware Racing’s #41 Fuel Doctor Chevrolet. 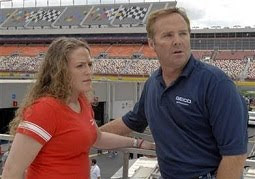 Not only will it be the first time a father and daughter have raced together in Nationwide competition, but Wallace will join father Mike, Uncle Kenny and cousin Steve in an on-track Wallace family reunion. In a related story, Blue Ox Products will serve as primary sponsor of Kenny Wallace’s Jay Robinson Racing #28 Chevrolet at Daytona. Blue Ox is a manufacturer of recreational vehicle and towing supplies and accessories. ABF will expand its longtime sponsorship deal with Braun Racing, serving as primary sponsor of the #10 Toyota in seven races. Jason Leffler will drive the car in the season-opener at Daytona, as well as at Bristol in March, Darlington, Dover and Charlotte in May, the September race at Atlanta and the season finale at Homestead-Miami in November. Leffler will drive the team’s #38 Great Clips Toyota in the remainder of the events. NASCAR Nationwide Series rookie Brian Scott will undergo surgery on the wrist he broke in a Camping World Truck Series crash at Michigan International Speedway last June. Scott said the wrist has not healed properly, and that surgery will be done after the Nationwide Series race in Las Vegas in a few weeks. Mike Bliss will drive the #40 Key Motorsports NASCAR Nationwide Series Chevrolet in at least the first three races of the 2010 campaign. Bliss will run the the Camping World 300 at Daytona on February 13th, and at Auto Club and Las Vegas Motorsports Speedway in the opening month of the season. Spokesmen for the team say they are hopeful that sponsorship can be found to keep Bliss in the car for the full, 35-race schedule. He is also slated to drive for Tommy Baldwin Racing on the NASCAR Sprint Cup Series. Jason Keller has signed an agreement with TriStar Motorsports to drive the team's #19 NASCAR Nationwide Series Chevrolet this season. Tri-Star owner Mark Smith said the team will return to the track for the first time since 1997 with intentions to run the full Nationwide schedule. In recent years, Smith has focused on building engines, including the powerplants that propelled Ron Hornaday Jr. to last year’s NASCAR Camping World Truck Series championship. Unconfirmed reports have Tri-Star fielding two cars this season, with the second entry to be driven by Tony Raines. Daisy Ramirez Motorsports will field a second entry in the Camping World Truck Series NextEra Energy 250 at Daytona for Mexican driver Carlos Contreras. Contreras will drive a #00 Silverado sponsored by Potencia Energy Blast and Alpina Bottled Water, as a teammate to Kerry Earnhardt. Truck News: NASCAR will revise the way it awards starting spots on the Truck Series this season, cutting the number of guaranteed starters and opening up additional spots for teams to qualify on time. Since 2005, the Top-30 teams in owner’s points were guaranteed a spot in the 36-truck field. This season, the number of lock-in drivers will be reduced to 25, with 10 spots left open for fast time-trialers and the 36th position reserved for a past champion. 2005 NASCAR Camping World Truck Series Champion Ted Musgrave will race in the season opening NextEra Energy Resources 250 at Daytona, after all. Musgrave will drive Billy Ballew Motorsports’ #15 Hope for Haiti Toyota Tundra on Friday night, after sitting out last season due to lack of sponsorship. Associate sponsors on the truck will include Eco Clear Solutions, MagicJack.com and Bee My Bear. Musgrave said there is a possibility for the deal to extend beyond Daytona, adding that the team continues to seek sponsorship for a full championship effort. 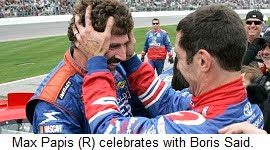 In happier news, it appears that NASCAR’s recent procreation boom will continue for at least a while longer. Jeff Gordon announced last week that he and his wife Ingrid are expecting their second child this summer. The new arrival will join daughter Ella, who is now two-years old. Navistar Inc., will join with Randy Moss Motorsports with HTM to sponsor former NASCAR Camping World Truck Series champion Mike Skinner's #5 Toyota Tundra this season. Navistar is the longest-running team sponsor in the Truck Series garage, after debuting with Circle Bar Racing and driver Rick Crawford in 2001. The company will showcase its International brand commercial trucks and Monaco RVs. 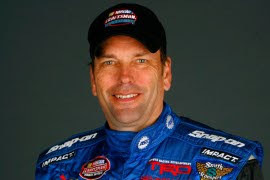 Skinner won the inaugural NCWTS championship in 1995 and is third all-time with 28 Truck Series wins. He was the first driver in the series to top $1-million in earnings, and he finished third in the 2009 championship standings in his first season with Randy Moss Motorsports. Randy Moss Motorsports and HT Motorsports will combine their effort in 2010, fielding a two-truck team out of their Statesville, NC, shop with Skinner's #5 Toyota joining the team’s #81 machine. No announcement has yet been made on a driver for the #81 truck, but sources tell Sirius Speedway that Texas native David Starr will be tabbed for the ride. Sirius NASCAR Radio’s Sirius Speedway with Dave Moody has learned that talks are underway between Yates Racing and Front Row Motorsports to effect a transfer of owner’s points that would lock all three Front Row Motorsports Fords into the first five races of the 2010 season. Reliable sources say Front Row Motorsports will assume the owner's points accrued last season by Yates’ #96 and #98 Fords, which finished 31st and 33rd respectively in the final 2009 owner’s standings. Talks are reportedly in their preliminary stages, but are progressing rapidly with an eye toward completing the deal by midweek. It is expected that in order for the agreement to pass muster with NASCAR, Yates Racing owner Doug Yates will have to assume a minority ownership stake in Front Row Motorsports. Front Row’s #34 car is already a guaranteed starter in the first five races after finishing 35th in owner’s points a year ago. A spokesman for Front Row Motorsports declined to comment on the story earlier today. The team will also be forced to shuffle its driver lineup for the season-opening Daytona 500, after rookie Kevin Conway failed to receive clearance from NASCAR to compete on the 2.5-mile superspeedway. As a result, John Andretti will drive the #34 Front Row Motorsports Ford in the Daytona 500 and Budweiser Shootout. Travis Kvapil will drive the #37 at Daytona in place of Conway, before taking over the #34 at Auto Club Speedway and for the rest of the season, Robert Richardson Jr. will drive Front Row’s #38 Ford in the season's first three restrictor-plate races, with David Gilliland driving the car for the bulk of the Sprint Cup schedule and Andretti also making a handful of starts.